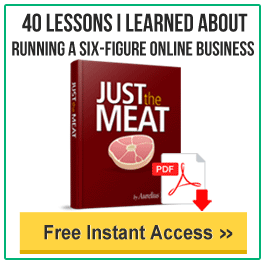 In this special video presentation I show you a cool little traffic-getting tactic I tested out which resulted in hundreds of visitors each and every day. You’ll find out how you too can utilize this tactic to generate unstoppable traffic to any of your sites in ANY niche. Unstoppable PLR – My PLR list so you can stay up to date with any PLR products I release. NitroWealth – My private membership site where you can get a brand new PLR product every month. BudURL – URL cloaking and tracking tool. Bit.ly – Free URL cloaking and tracking tool. It’s not enough just to have your ebooks submitted. You also need a high-converting squeeze page to build your list once you start generating visitors. I highly recommend you use OptimizePress to create your squeeze page. It creates incredible looking squeeze pages and sales pages. Click here to get it. Go ahead and implement this tactic and let me know how you go. So what do you think about this traffic method? Have you heard about this method before but just haven’t tested it out yourself? Thanks, Aurelius. I love how you laid out the info in a really easy to understand way. I just have one question – a lot of PLR stuff seems to come with the condition that you can’t give the ebook away for free. How would that fit in with this process? Yes, a lot of PLR products don’t let you give it away for free. Not to be biased or anything, but all my PLR products can be given away as a lead generator. A good place to start is my membership site at http://www.nitrowealth.com. Members get a brand new PLR product every month. First time visitor. Just wondering how many ebooks? And, at what point does it convert to making money? For instance, if you were to start a brand new site right now using this method, how long would it take for you to generate $500 a month? I am getting 100+ visitors from one eBook only. The amount you can make cannot be estimated since everyone’s offers are different. It depends on your landing page conversion rate. Using the Bit.ly sometimes some of the traffic exchange sites they don’t allow a cloaked links. How do we correct this kind of situation? And another thing, can you give us some tips and information pertaining about the Do’s and Dont’s of each Ebook Sites approval policies. Yes, bit.ly is kind of blacklisted from a lot of mail servers. There are alternatives, but best way is to have your own tracking tool installed on your own domain name. I went around it by signing up for BudURL and then using my own domain as the shortner, instead of the budurl domain name. That way it’s personalized. Each of the ebook sites have their own submission policies, but if you look at the mindmap, free-ebooks.net requires an ebook of at least 20 pages. There’s normally a guideline for submitting when you go to the site’s “Submit your ebook’ page. What about using a plugin like Pretty Link on your own blog to make the links look better? It’s also to convert keywords to links..at least with Pretty Link PRO version. Great Information Aurelius! Thanks for the mindmap. I like this post, because i more like a SEO Technique that can do immediatelly than just many word. I will use it for another my SEO Technique, Thank for sharing..
Yea, I’m not too sure if it’s good for SEO, but it is an free and organic way of getting traffic. I love this strategy, got some plr sitting here collecting dust, time to shake a leg! Hi Jeff! That’s perfect! Now start submitting those eBooks! Good luck and let me know how it goes. First thing you always have great information on your post I’m still process of using prettylink. I’ll be using your steps in my next following project. So Aurelius keep the great work!!! Hi Tony! Good to hear my friend! Good luck and hope you get amazing results! Let me know how it goes. Aurelius – long time no see, man! Make sure people don’t forget the availability of public domain material. A lot of older material in the public domain is still incredibly useful if you’re willing to “jazz up” the language and be a little creative with re-purposing. If I understand this correctly, we don’t make money re-selling these pre-written books, rather, the sale of these books acts as an advertisement and link for our own website? What if our product has nothing to do with the book? I actually have my own material to sell. I have scanned back issues of a zine I wrote in the 1990’s. I also have my father’s self-published book he wrote in the 1960’s which I can scan. These are both family heirlooms, so I don’t want anyone making changes and reselling. They can have Dad’s book for their own read, and I want a nominal fee for my zine issues. But I do NOT want them re-sold. My reg. job/business is local only so anyone out of a 20 mile radius would have no use for my regular site. I only need to generate very local traffic for that. But I would like to build a site for my zine, The Rebus Quarterly. I don’t have time to go through all those SEO steps again as I did with my piano site (my “regular: job). Hi Dina. Yes, it’s work more like promotional material. You sure can upload your own ebooks. You don’t need to offer resell rights to the end user. Just state in the ebook that it’s for personal consumption only and that there’s no resell rights. In terms of local traffic, I don’t think there’s a feature that can do that. Yes, SEO can be very time consuming. This traffic method will get results. Thanks for the info. I think I will make this a weekend project. It always takes longer to implement a new idea the first time. I will let you know how it works. Nice video as well as nice mind map.Glad you made it downloadable..Much appreciated. my question is ,how many percent your ebook viewer that go to your blog ? Conversion rates vary, if that’s what you’re asking. Depending on how well your ebook covers the topic, whether you have calls to action in place and so on. this post contains tons of great info but did you use separate domain names and webservers for each of your ebooks or just a single one? You don’t have to use separate domain names/web servers for each eBook. That would be costly. You can host each ebook in a subdirectory. Example: http://www.yourdomain.com/ebook1, http://www.yourdomain.com/ebook2, etc. What a simple but effective idea. I had started putting some of my self penned, freebie ebooks to some document depository sites but several of the sites you’ve listed here I’d never even heard of, so these are definitely going on the action list. Many thanks for the ideas and total, complete video information. What a great suggestion Aurelius! thank you very much and thank you for the video explaining it all! Although finding the time to do everything is always a problem I’m going to make it a priority in my todo list. What a great idea for building traffic and your email list. I’ve many plr ebooks cluttering my hard drive over the years of collection. This gives me something new to try out.